Rome is one of those cities that I can never get tired of. One of those places that I could return over and over again and have new experiences each time. You could spend a month in Rome and not see all there is to see in the Eternal City. There’s just so much history, food and culture to experience. 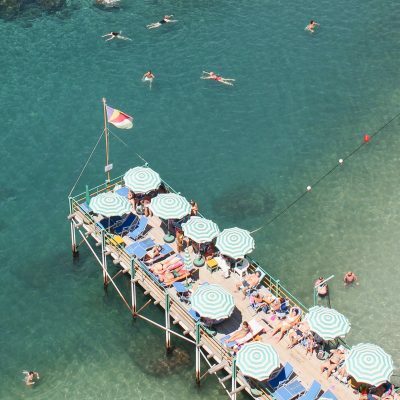 After frequent weekend visits from Naples, I still have a list of things to do next time we visit. 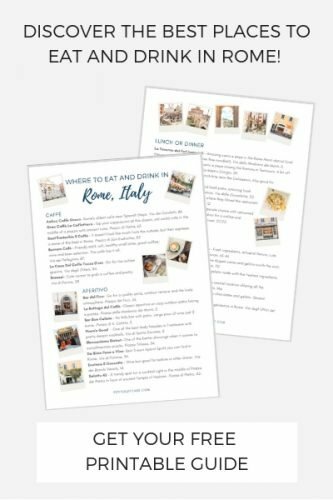 However you can pack in a lot in just a few days and there are simply things you must do in Rome, Italy. It doesn’t get any richer than this classic Roman dish made with Pecorino, black pepper and more Pecorino. 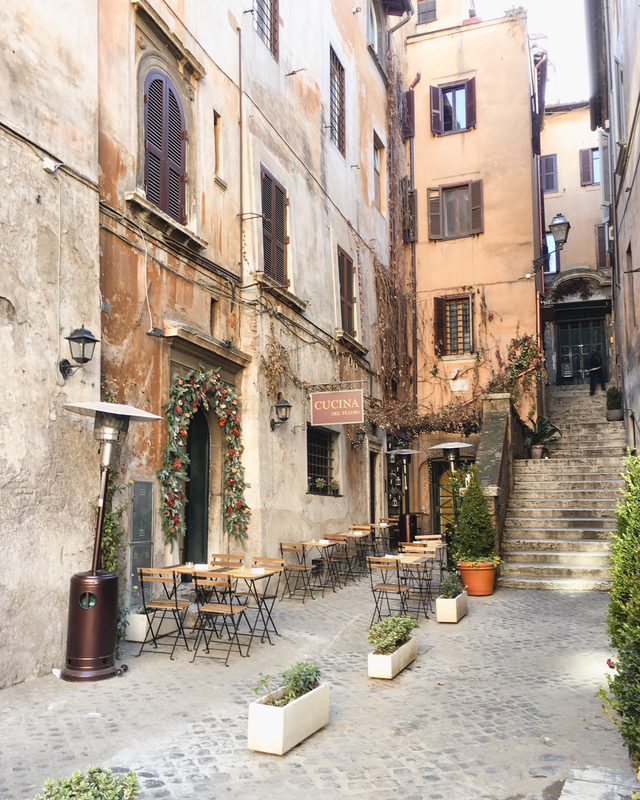 You can order this cheesy and delicious pasta all over Rome, but check out my favorite places to eat and drink in Rome. As one of the most famous things you must do in Rome, naturally it gets quite crowded. The fountain is breathtaking when it’s lit up at night, but you need to get there early in the morning if you want the place to yourself. Preferably at Fridgidarium or Gelateria del Teatro. Fridgidarium dips the cone in chocolate making a hard shell over the gelato like a dip, Italian Style. Get the rest of the scoop (pun intended) here. I like to come here in the early morning, but getting an afternoon Aperol Spritz in the piazza will really give you that “Is this real life?” moment. Entrance to the Pantheon is free, the Aperol Spritz is slightly overpriced at about $10 each. 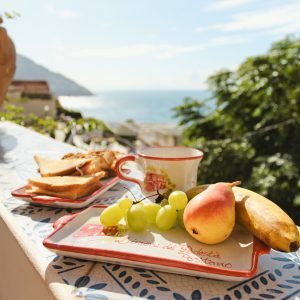 An aperitivo is a drink and light snack to be enjoyed before dinner, to open up your digestive system before a lengthy, multi-course dinner. The classic choice is an Aperol Spritz. It’s made of prosecco and Aperol, a slightly bitter orange liquor. I love going to Bar del Fico or La Bottega del Caffè. 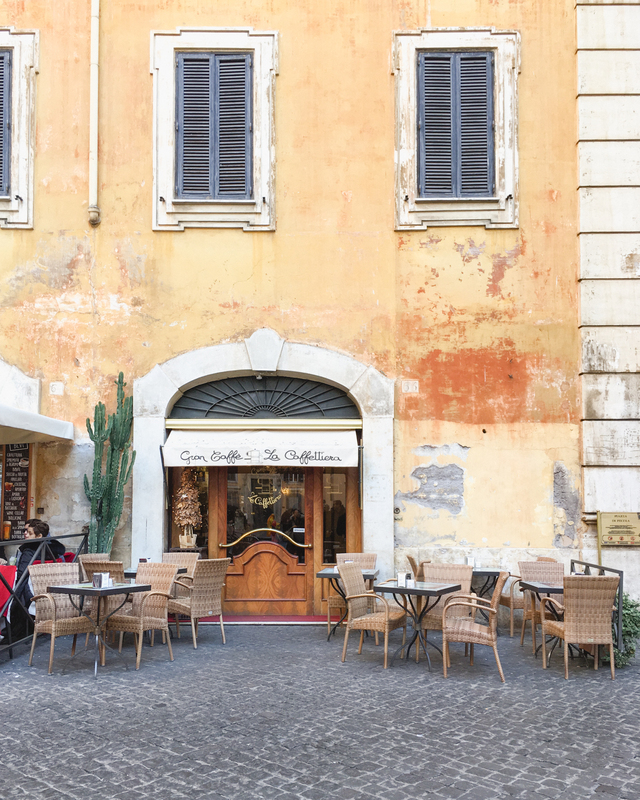 Try Gran Caffè la Caffettiera for a view of the Temple of Hadrian and hearty snacks. Go to Da Simo Pane e Vino if you’re on a budget. 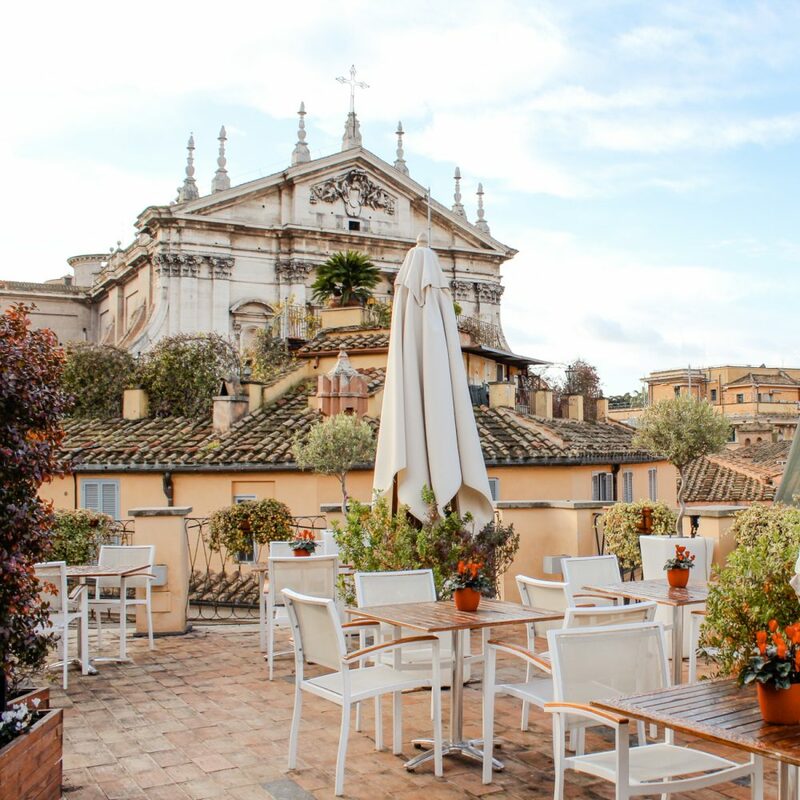 After many weekend trips to Rome we finally discovered St. Clement Basilica on the recommendation of this guesthouse we stayed at in Trastevere. After living in Italy for almost three years, we’ve seen a lot of churches and this one still blew me away. There’s actually three different levels that have sunk into the earth over time. You can visit the first level for free and it’s about $10 to see the other levels. Book a tour with the Roman Guy to get a more in depth experience of St Clement, ancient temples and catacombs (use code PETITESUITCASE to get 5% off). St. Clement Basilica is probably one of the most unique churches and archeological sites I’ve visited in Rome. Nothing says classic Rome like the Colosseum. 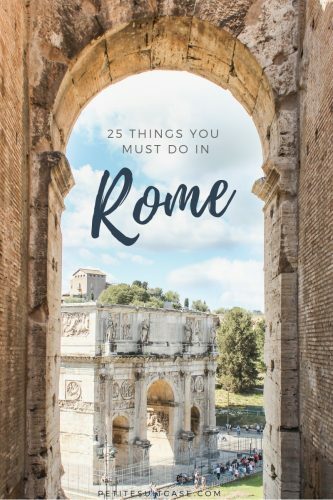 Going inside the Colosseum and the Roman Forum might not be for everyone (especially if you’re short on time), but seeing the incredible amphitheater, the Arch of Trajan and the ancient ruins is something you must do in Rome. 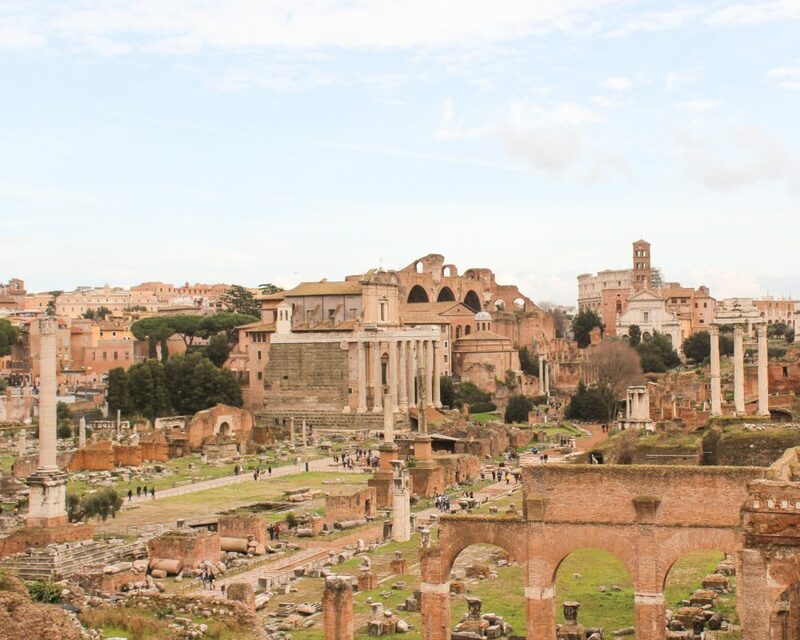 Be sure to walk out the side that leads to the Campidoglio to see breathtaking statues and views of the Roman Forum. 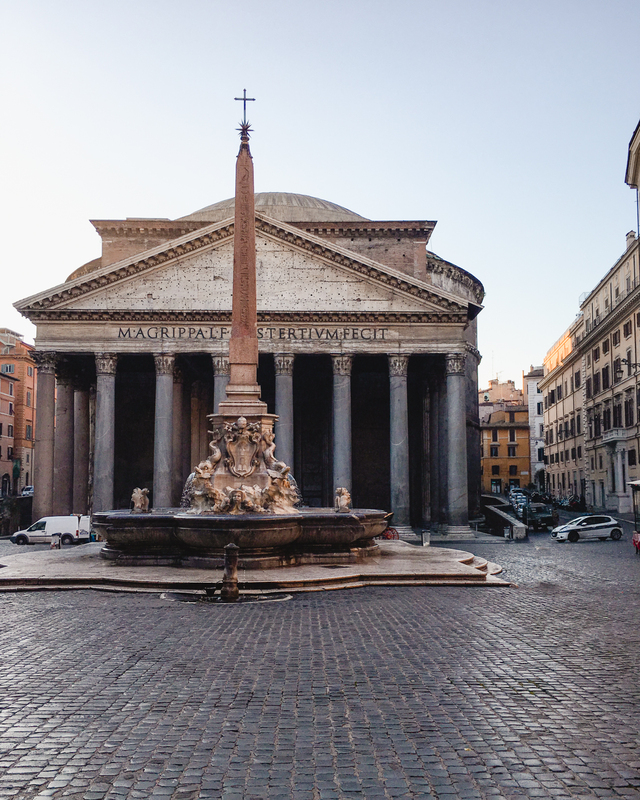 If you have a few days in Rome, check out these tours to get a more in depth look. 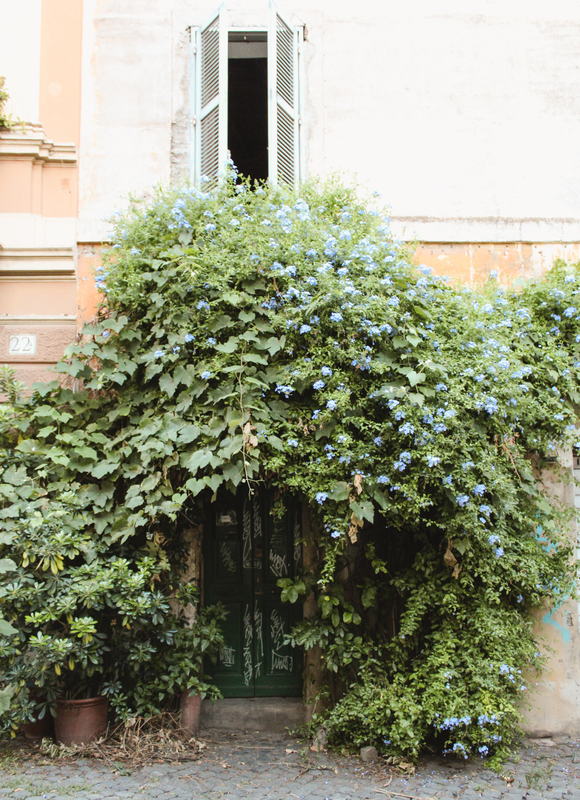 This is one of my favorite neighborhoods in Rome. It’s so charming with its ivy covered buildings, cobblestoned alleyways and outdoor restaurants. 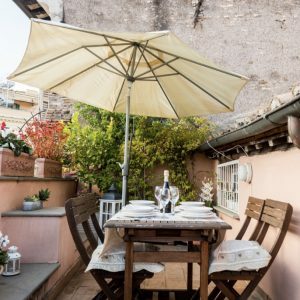 Tucked away on a side street, Enoteca il Goccetto is the perfect choice to cozy up with a large pour of local wine. This large piazza is one of the oldest markets in Rome. During the day, it’s a vibrant market filled with seasonal fruits, vegetables, pasta and spices. By night, it’s quite lively with people drinking from bottles of wine and sitting on the stairs around the main statue. 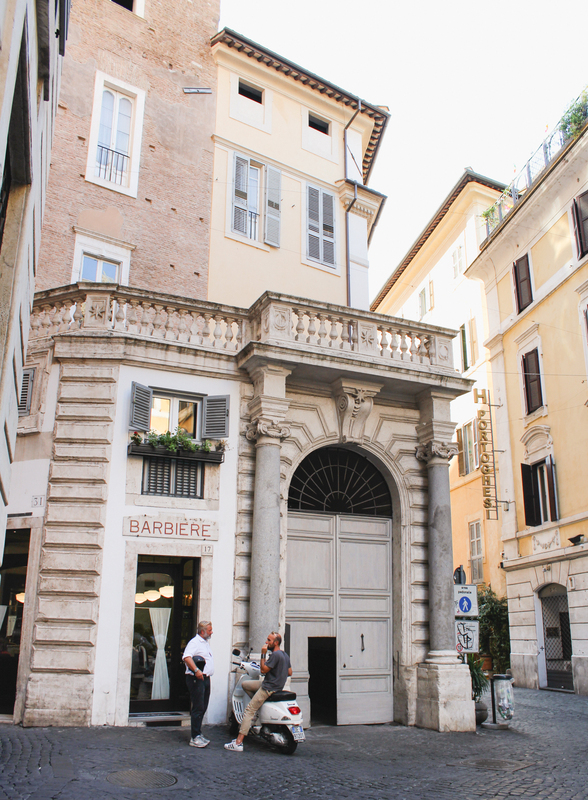 I visited this bar regularly when I studied abroad in Rome years ago and I always have to go back each time I visit. At 2 euros for a glass of wine, it’s one of the best deals in town. Be sure to get the cold black tea with lemon gelato on a hot day. 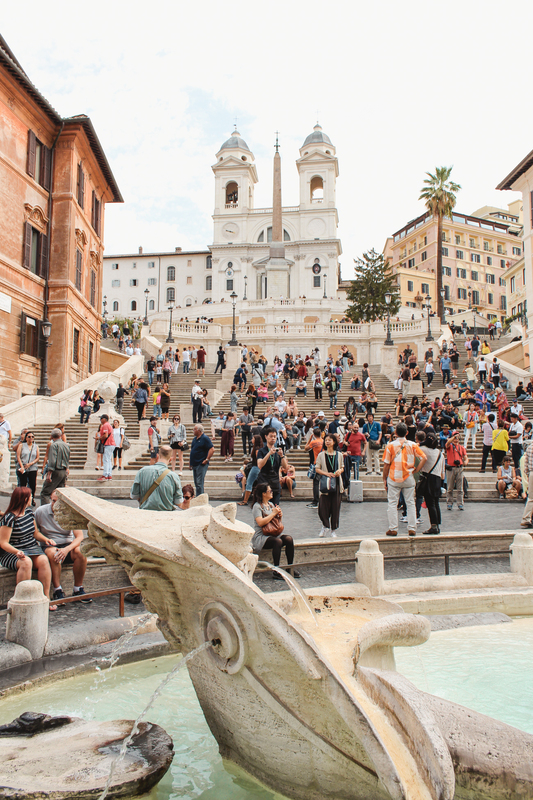 While there’s nothing to really “do” at the Spanish Steps, that’s the beauty of it. Get one anywhere and everywhere you can (says the coffee addict). You can’t enter the museums without reservations, so it’s worth it to book as early as you can. I went for the first time about 10 years ago and I can still remember being in awe of Bernini’s amazing statues and Caravaggio’s dramatic paintings. In the summer months, you can visit the museums at night and have a happy hour in the gardens. You’ll pay a few euros more than the normal ticket, but it was a priceless experience to have a glass of wine with the Vatican Gardens lit up with live classical museum playing. 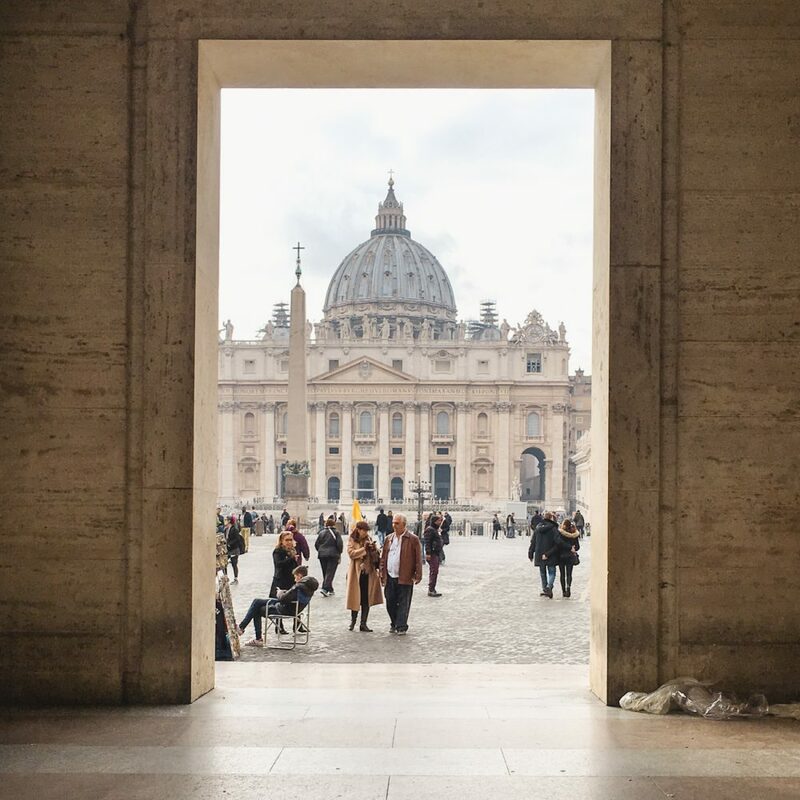 You can buy tickets on the Vatican website directly or book VIP access tour (5% off with code PETITESUITCASE). 17. Look through the peephole. 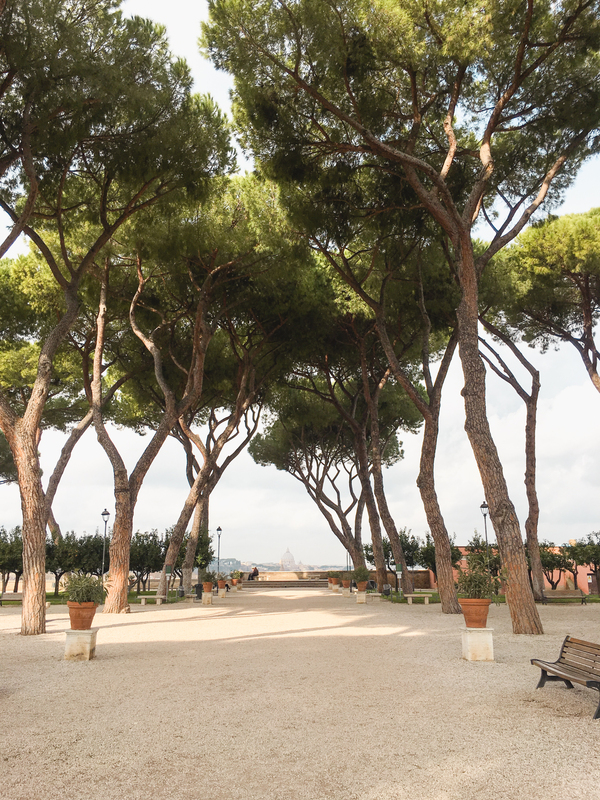 Just a short walk up from Giardino degli Aranci, you’ll find large green doors with a line in front. Some people will say this is way overrated for how long the line is. I thought it was special so I went in February and there wasn’t a single person in line. I have video saved in my “Rome” highlights on my Instagram if you want to take a peak. Piazza del Popolo is best seen from Terrazza del Pincio up on the hill. 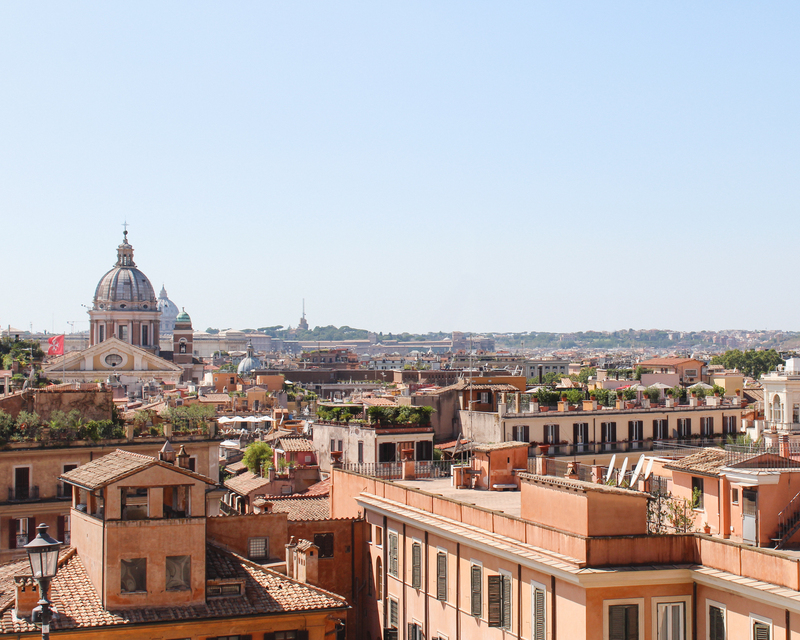 The view puts the piazza front and center with Roman rooftops in the backdrop. I guess I love the quieter outdoor area just as much as the view. If you’re an Eat Pray Love fan like me, you must walk by her apartment from the film located here. Saint Lucia is the outdoor restaurant where she orders in Italian if this up your alley. You could walk right by the entrance to Biblioteca Angelica and never know that a charming gem of a library is housed in that building. This is a must do for book and library lovers. 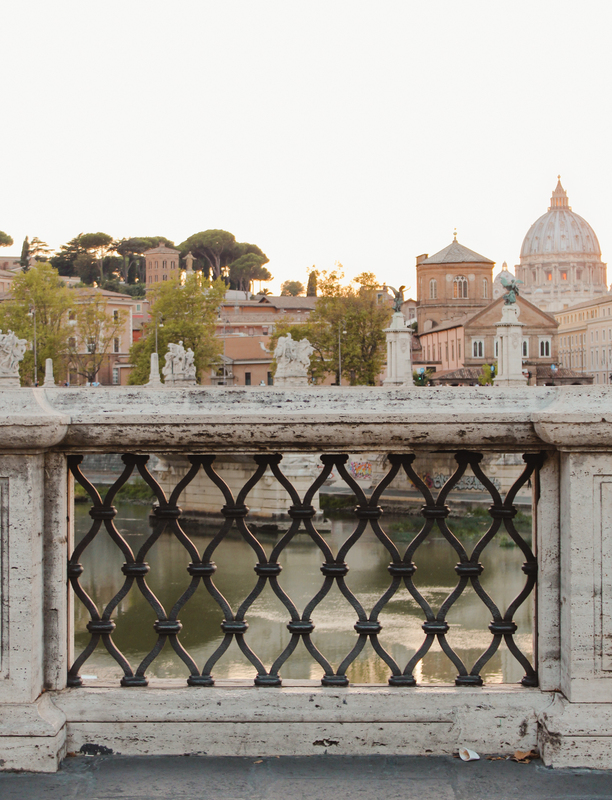 This bridge is the best spot for watching the sunset behind Saint Peter’s Basilica. 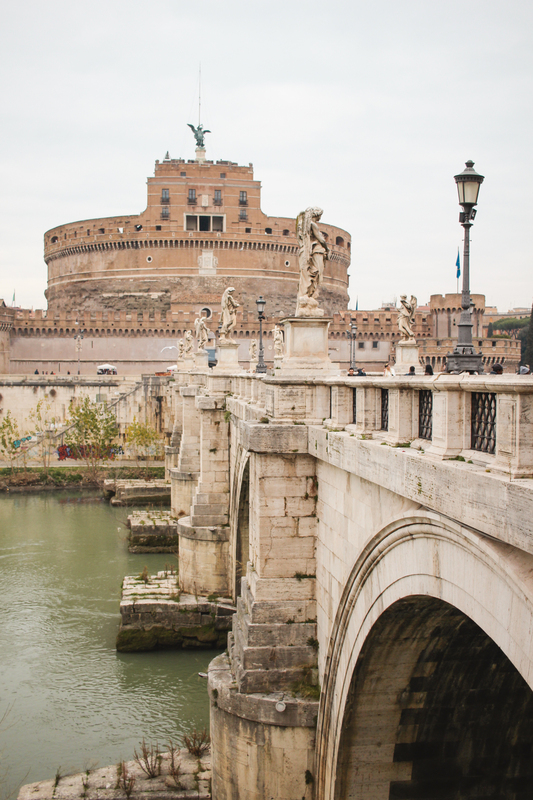 You can’t miss Castel Angelo at the end of the bridge, so #21 is really a two for one. 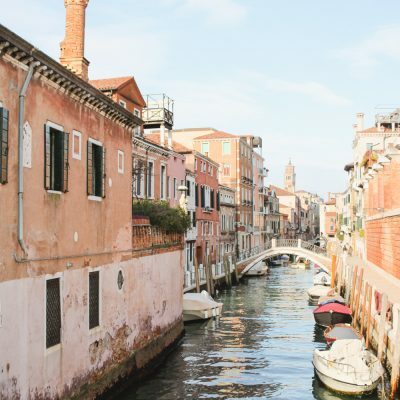 Not only is this area is home to tasty restaurants and gelato shops, it’s made complete with boutique shops and vintage finds. 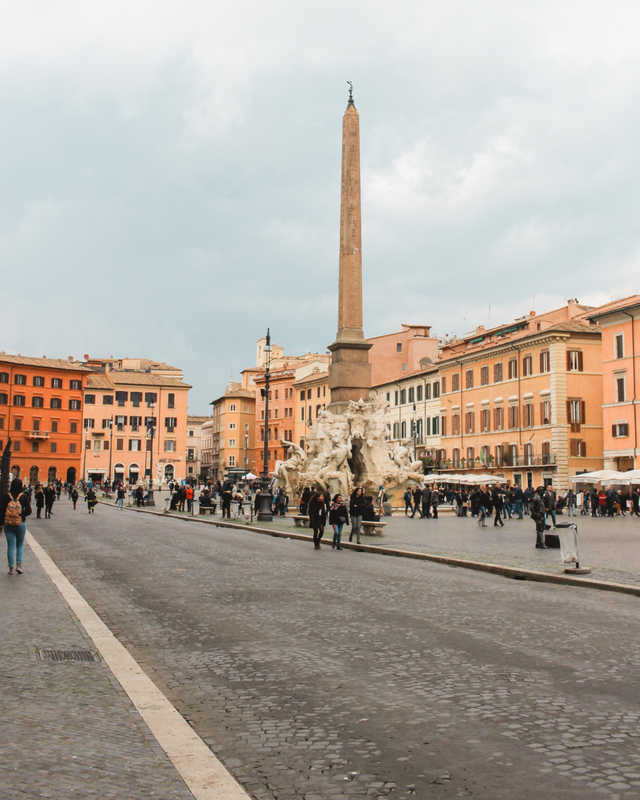 When I’m walking from one side of Rome to the other, I always make sure to take the route that goes right through Piazza Navona. 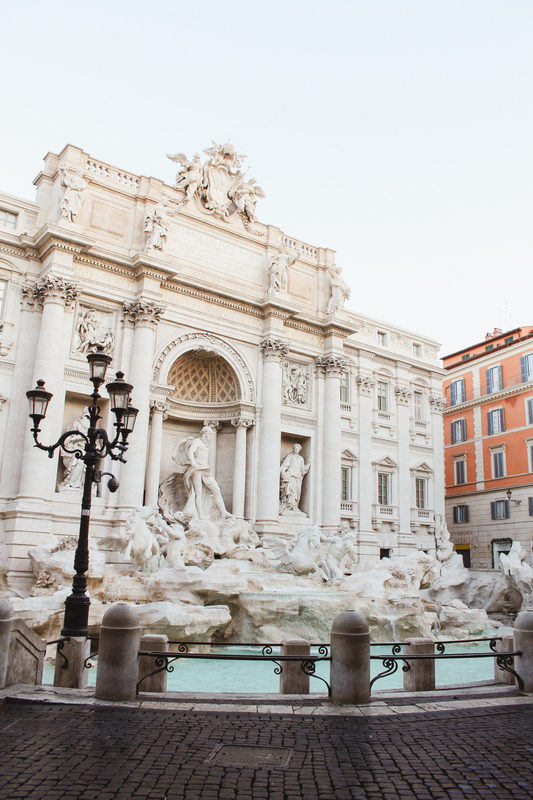 The Fountain of the Four Rivers by Bernini sits right in the middle of the grand piazza. If you visit on a Sunday, you can see the Pope give the Angelus prayer. It’s in Italian and he usually ends with Buon Pranzo (have a good lunch). Find the papal audience schedule and information here. 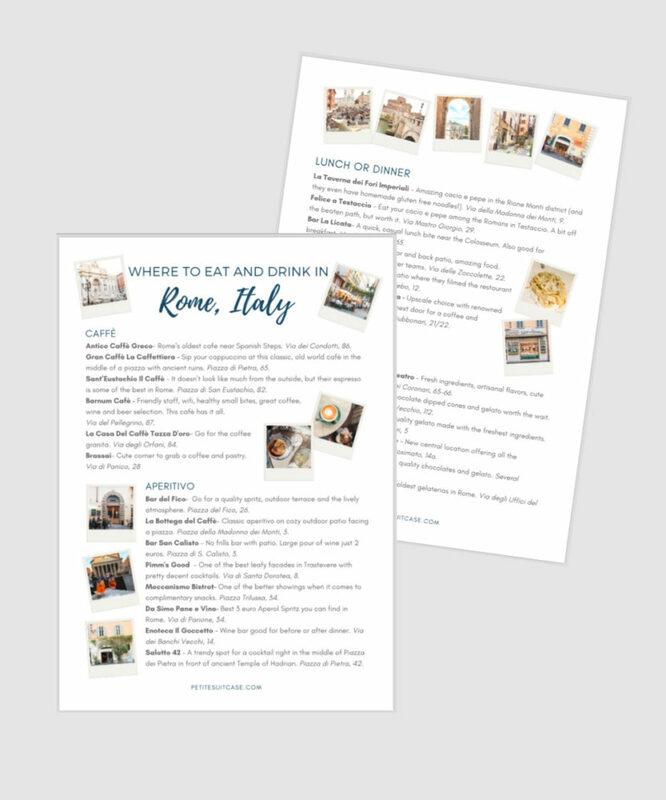 Sign up for the newsletter and get my top choices for where to eat and drink in Rome! Print double sided and have a quick cheat sheet to take along with you! Yes, I’ve heard of it and walked by many times, but I’ve never been! I’ll be sure to check out San Saba next time! 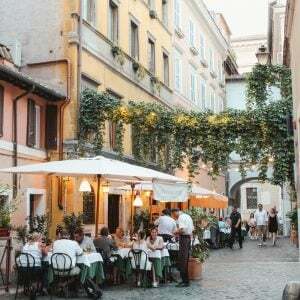 I so agree with you, I recently went back to Rome and was so surprised at how more there was to see and eat. This post has given me even more ideas so I guess it is an excuse to go back again, third time lucky and all that! Love all the photos too, your blog is very clean!! Thanks, Emma! I will take any excuse to visit Rome! 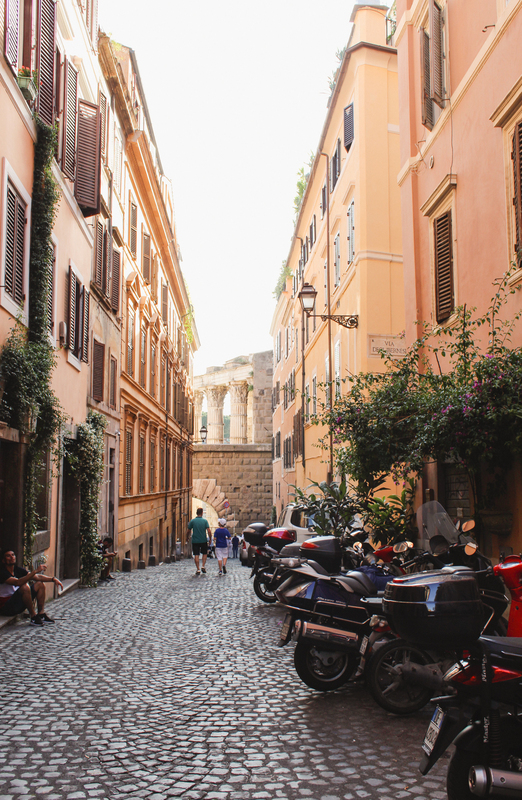 Wandering Rome in the early morning is amazing. I always do the Pantheon and Trevi Fountain at that time too because it’s empty! Rome is Magical. I Love this list! Such a great roundup and unique take on things to do! Thank you, Helene! “Magical” is the perfect way to describe it! I’m not a newby to Rome (going my 6th time in December of this year). That being said, I’ve never been during the holidays. Any “don’t miss” you recommend to fully embrace the holiday season in Rome? There used to be a big Christmas market in Piazza Navona years ago. I went last year and was disappointed to find they don’t do it anymore (just one carousel and a toy stand). I’d say you can’t miss St. Peter’s! There’s a giant Christmas tree and a nativity scene. Also if you have time, Florence has a very charming Christmas market. I’d check in on Natalie’s blog An American in Rome frequently. 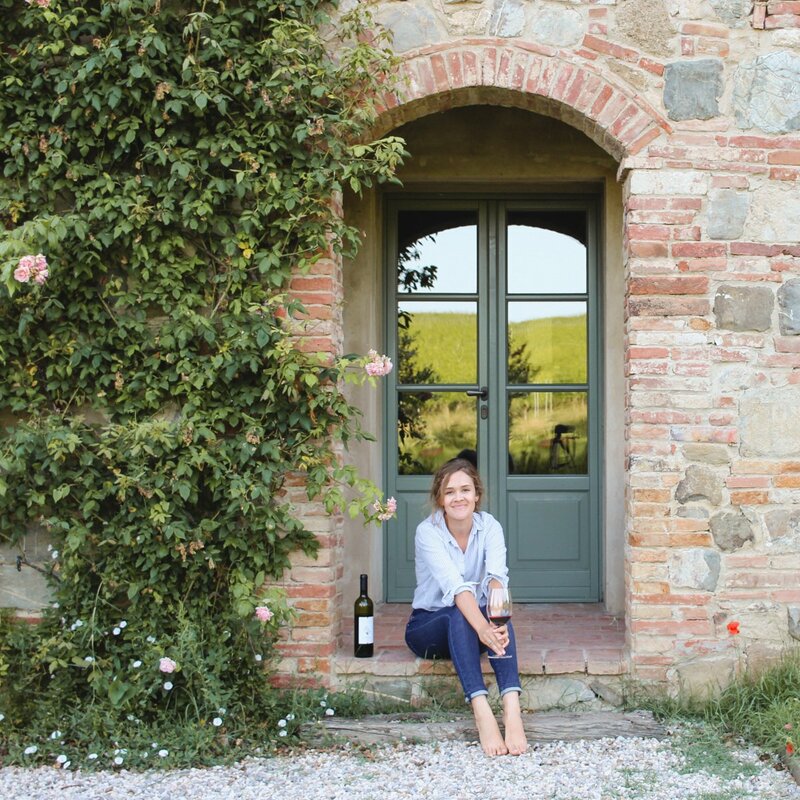 She’s an expat in Rome and always has a wealth of information on her blog. Enjoy your trip! the main picture of the post how do i find the view it looks amazing! thank you for the other details as well! 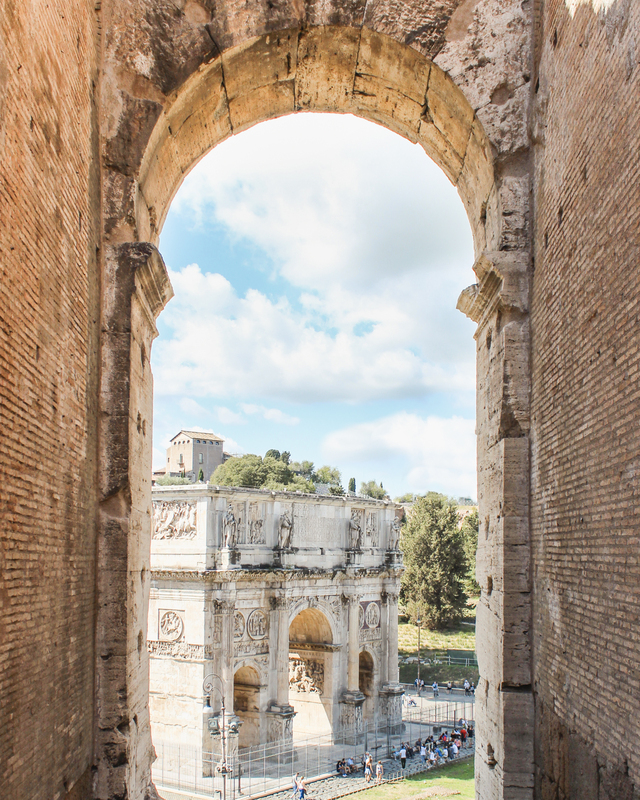 It’s from inside the Colosseum looking out onto the Arch of Constantine!